Statements are often used in expressing information about a certain subject. People rely on statements in informing a certain audience what they need to know about a specific topic. For example, vision statements inform people about the long term and short term goals and targets of a certain company or business. Thus, it can be concluded that businesses usually count on statements in the dissemination of important information to their clients. A beneficiary simple statement, for instance, is usually given by a lender to a borrower, disclosing the remaining unpaid balance of a loan as of a certain period, including the interest rate. 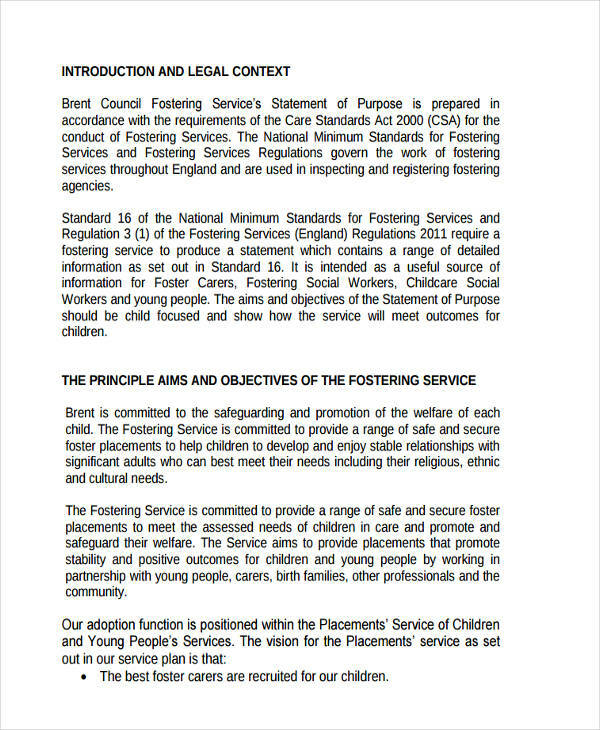 A statement of purpose, as its name signifies, is a statement narrating the purpose of something. 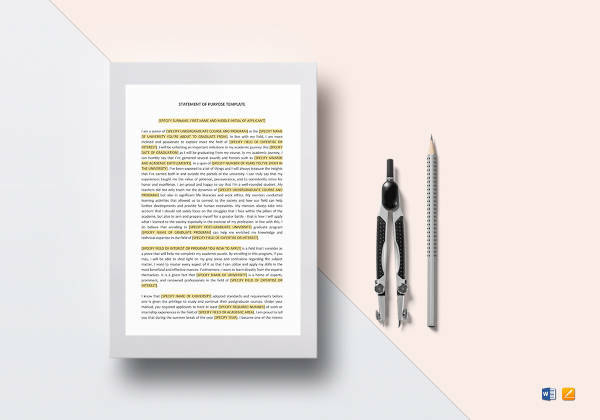 In business, a statement of purpose or a purpose statement is a document that summarizes the overall smart goals of the business or the purpose of a certain project or task at hand. 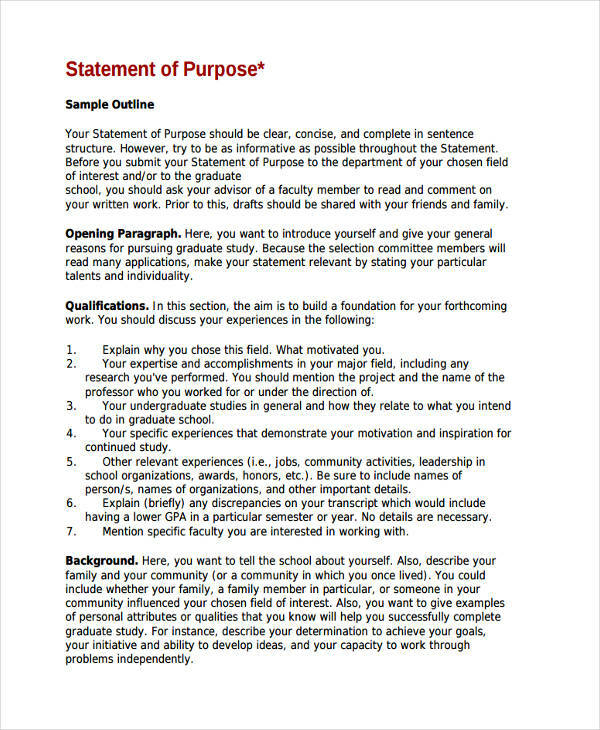 In education, the statement of purpose is required from the applicant upon applying for a school admission. 1. 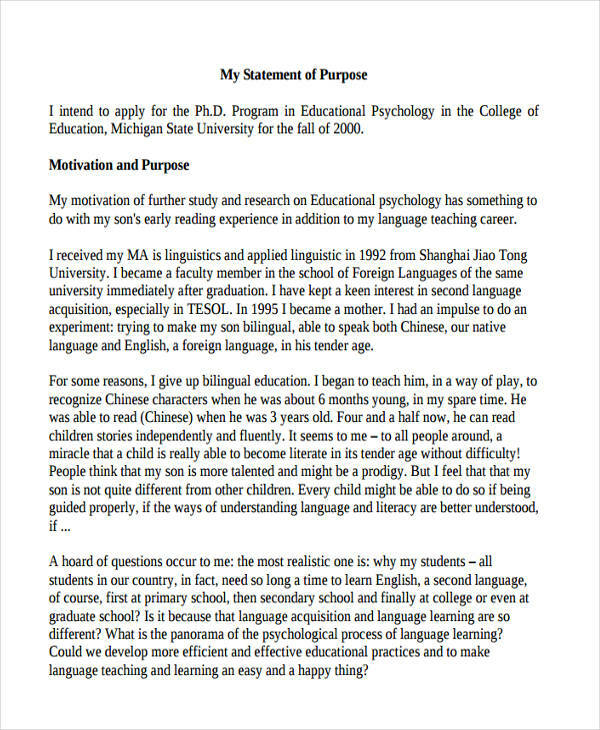 A personal statement is written to express an applicant’s qualities which make him/her qualified to be granted an entry. 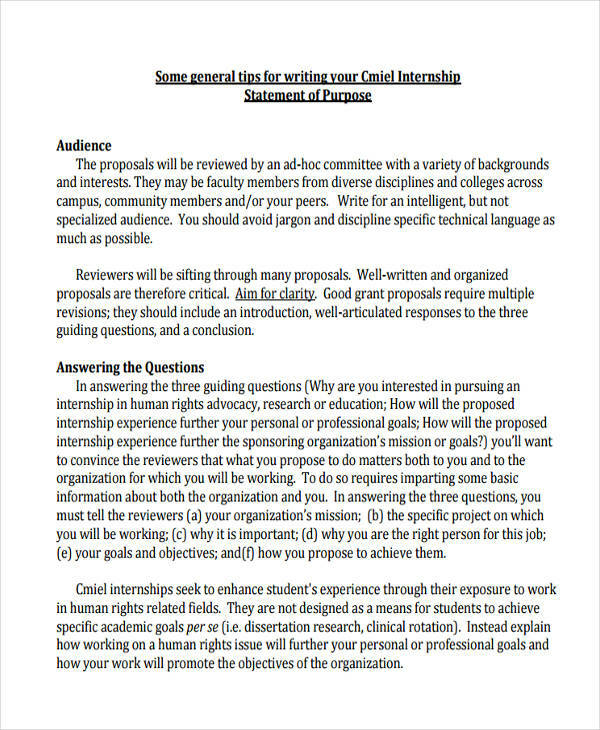 The writer includes his/her goals, qualifications, and experiences which helped him/her earn such qualifications. 2. 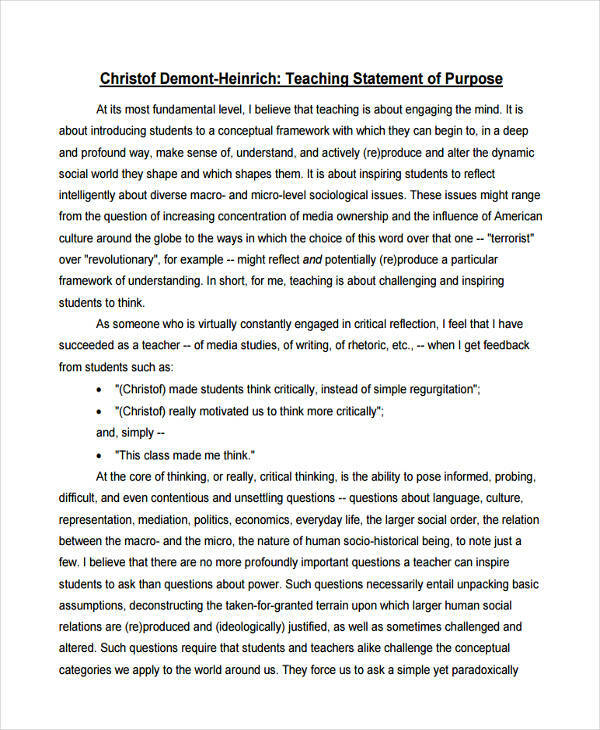 A purpose statement focuses more on the reason why you want to enter a certain educational institution. 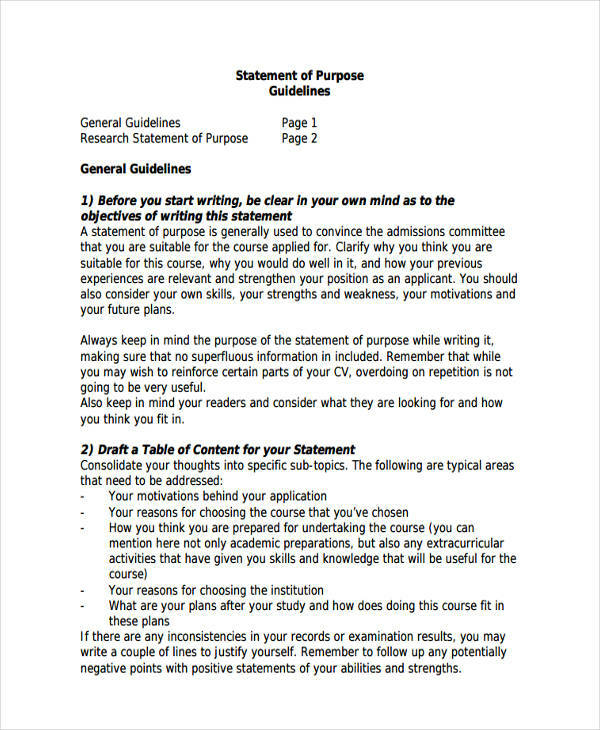 To sum it up, a personal statement expresses how an applicant qualifies for the admission, while a purpose statement is a statement of an applicant’s interest in the certain degree program and the school he/she is applying to. You may also see statement analysis examples. Identify your purpose or goal. 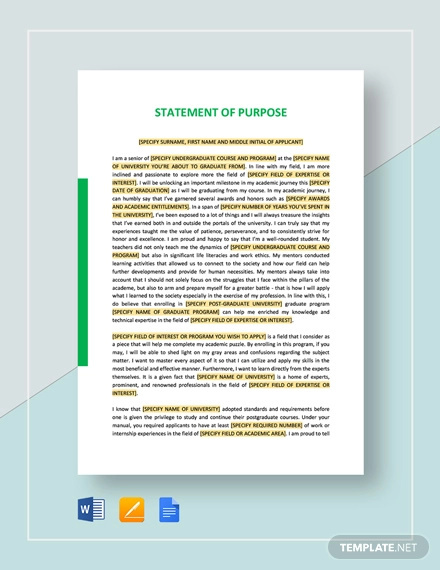 In writing a purpose statement, you need to have a purpose. 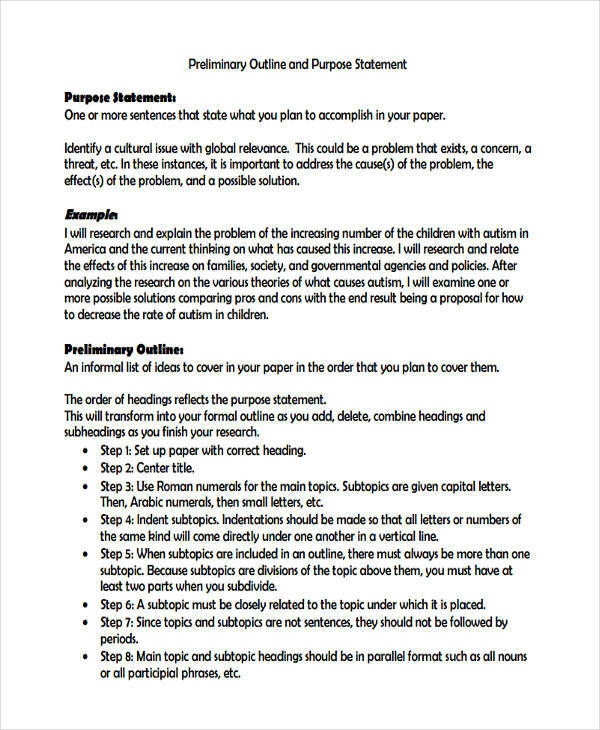 Create an outline of topics you want to include in your statement of purpose. Balance the discussion of topics. Talk about yourself, but not too much to the point of making it sound like an entry in your diary. You may also see bank statement examples. Write simply and clearly. Make your sentences short, use simple language and write in active voice. Keep it short. If instructions regarding the length is specified, follow them. If not, make your statement short. Proofread your composition. Check for spelling, grammatical, or any errors and improve your writing. Or ask someone else to proofread your work for you. 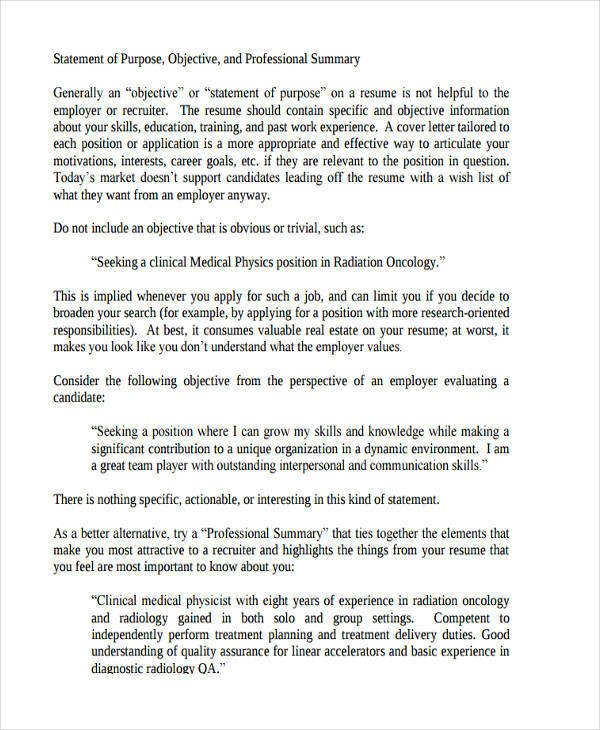 You may also like statement of work examples. Use overly and difficult words. Make your writing understandable. 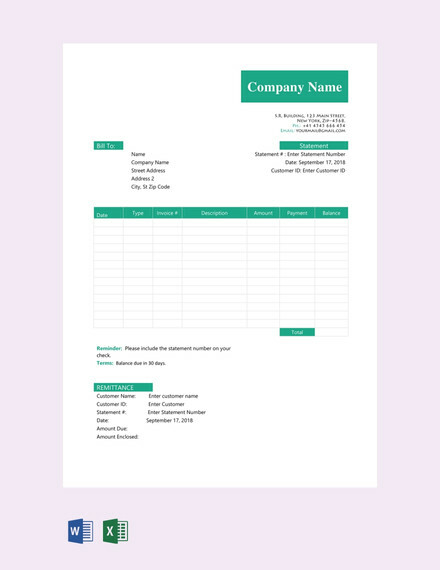 You may also check out business statement examples. Write too much cliche. Don’t. They’re called ‘cliche’ for a reason. Write long sentences and paragraphs. One, you’ll bore your readers. Two, you’ll tire them. Submit a draft. Always review and revise your work countless times before submitting. You might be interested in need statement examples. Plagiarize. If you want to impress people, impress them using your own effort, and your own work.